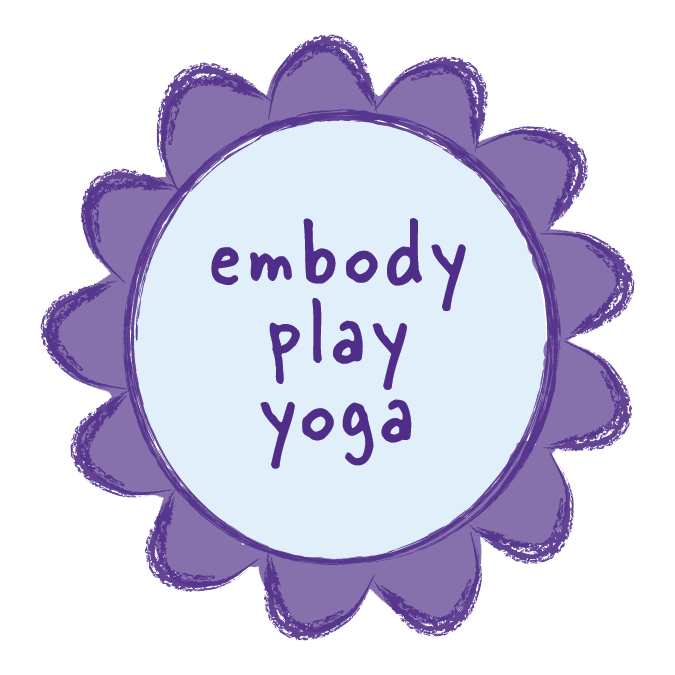 The Embody Play method combines yoga, mindfulness and creative play to facilitate somatic inquiry with the aim of teaching life skills, such as emotion regulation, focus/concentration and healthy attachment. The purpose of embodiment is to develop awareness of inner and outer experiences, to feel and understand how thoughts and emotions manifest in the body through impulse and sensation. Through contemplative practices such as mindfulness and yoga, students are encouraged to engage in the ancient practice of “paying attention on purpose” while using breath, movement and sensory integration to bring awareness to and regulate their body physiology. The benefits of yoga and mindfulness include: decrease in stress, improved focus and attention, heightened empathy and compassion, improved impulse control and self-regulation and reduced emotional reactivity. The use of creative play (including games, art, music etc.) ensures that our classes are full of laughter and lightheartedness to enhance their educational value. Through play, we communicate complex ideas in a universal language that motivates students of all ages to deepen and sustain their commitment to self-care and wellness.